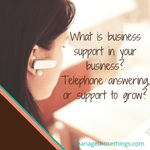 What is business support in your business? Is it the support you get as a business owner, or is it the functions within your business to support the whole business to run efficiently? I think business support is both these descriptions, but it will also be different for each business. As a small business, you are naturally doing all things in your business – from product management, to customer service, to bookkeeping and marketing. As your business grows, you may not actually do all these functions yourself, but you’ll have support for aspects of your business. This term is generally used for business admin, finance and legal functions. In more recent years, this term has been used when you outsource any aspect of your business to someone else who will take that task on for your business. Marketing, PR, IT support, social media, book keeping and general email administration are all services offered, and used by businesses. As your business grows, you may find that you create business support services within your staff team, (or remote support staff). Think about it. You need each area of your business to run efficiently, and sometimes you need people to support all aspects of the business. For example, cleaners in your office or shop are supporting the business. They are part of your support team. For me, business support is your support structure for you to grow your business. This may well be the staff, (and contract) team around you. It’s also your training, learning, development, and keeping pace with new technology and software. It’s your business coach who helps you work out your next steps, and encourages you to put in place the actions you need to do to take those steps. Where, what and how do you get your business support? Is it from one place – a support company who provide you with the business support you need? Or is it from a variety, a mix of all the above? Have you thought about your business support team recently? What’s working? What maybe needs reviewing? It’s interesting that since I started Action Learning Sets, and the Business Cheerleading Club, I’ve been more conscious of my own business support structure. My family and friends and what I need from them. My coaches and mentors. My networks. 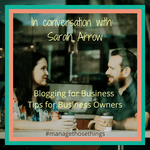 I started Manage Those Things to help business owners, like you, manage those things you can’t, won’t or don’t want to do. That’s classic business support. But the business club and more focused coaching & action learning are directly supporting you as a business owner to give you what YOU need to support your business growth. Let’s talk through YOUR business support and check it’s the right mix for the next year of your business development. NOTE: Business Cheerleading Club members get one to one support £20 a month cheaper than booking one off sessions. What is business support to you? Instagram is currently used by over 200 million people each month, with 60 million photos uploaded every day with 1.6 billion likes. It’s a growing social media platform, which some people love, whilst others “don’t get”. As a business, it’s an area you should certainly be considering using. Even if it’s just noticing what’s going on and seeing if your ideal customers are using instagram at all. More women are using it, and if you’re target market is women 26 – early 50s, then you should definitely check out instagram, as that’s where your customers are spending some of their time. You may not even know what instragram stories are? A new feature that lets you share all the moments of your day, not just the ones you want to keep on your profile. As you share multiple photos and videos, they appear together in a slideshow format: your story. Instagram stories appear at the top of your screen when you’re looking at your instragram feed. They can be video or a series of still photos or images. They don’t add to your normal instagram feed, and they disappear 24 hours after you’ve posted it. Viewers can send you direct messages from your story, but there’s no public comments, making engagement directly with you, so you qualify the person’s interest in you by their response to your story. She explained that instagram stories are like a news feed, and shares current ideas, events and thinking. What I learnt from Claire, was to give it a go. Try it. Have a play. See what works for you, and what you enjoy. That’s great for me, and my style, that’s how I learn best. I know that’s not for everyone. Claire is available to help you and has a free webinar coming up soon. We’ll be carrying on the instagram story conversation in the Business Cheerleading Club group, to support each other to start, learn, develop and improve. There’s plenty of space for you to join us there too, for all sorts of business support, not just about instagram or social media. Claire has also agreed to do a workshop for club members on instagram in May, (open to guests at a charge of £29). 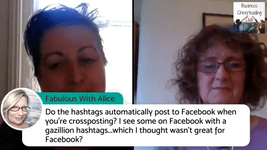 Let’s connect on instagram – We’re at tracey_jane_hughes – what’s your account? 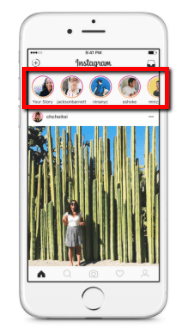 Have you used instagram stories? What’s your story with them for you and your business? This week I’ve had the honour of accompanying two business owners to celebrate their flexible working businesses at the Mum and Working Awards. Both started, and run their businesses, around their young families. They both created a flexible working business case for them to work through with their husbands before taking the step of setting up by themselves. The awards were and inspiring couple of hours, with many of the judges sharing their own flexible working decisions with us. It wasn’t all about business owners either. Julie Baker, Head of Financial Inclusion and Enterprise at Nat West, shared her story of how she created not only a flexible working business case for herself and family when she wanted to carry on working and developing her career. She also came up with an idea for a friend of hers who was working nights, whilst her husband worked days so they could manage looking after their own child. 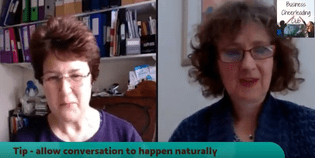 Julie created the flexible working business case for this lady to become a child minder, look after her own child as well as Julies, and create a more family friendly home life for her family. We heard from more than one woman who’d been working in businesses which wouldn’t, (or couldn’t?) consider flexible working. So they set up their own businesses, to find the right flexible working environment for themselves and their families. It felt very much, “I can’t get what I’m wanting here, so I’m going to create it myself”. As I write this, on International Women’s Day, with the slogan, PRESS FOR PROGRESS, it feels like we shouldn’t have to write a flexible working business case, but it should be a core value in our society. Every business, large and small, should understand that working flexibly ensures skills and talents remain in the business and economy as a whole. Even though some jobs or roles may be difficult to organise flexibly, there’s no reason not to believe that flexible working is important to our economy. Your business may also need more flexibility to respond to fluctuations in customer demand. So looking at your flexible working plans, and how things can work best for your business, using a flexible work force, should be part of your business review process. Whether it is for yourself, or your business, creating a business case for flexible working will help you see the opportunities and challenges. It’s not necessarily about reduced hours, or working at different times of the day. It’s an opportunity to look at your business processes and identify what has to happen, and then work out the how & who will make it happen. For yourself, if you’re creating a business case for your employer, or partner, think about the end result you want. Is it about continuing to do fulfilling work, but reducing your hours. Or is it about putting children, or caring responsibilities first? Both Emma, from bras4mums, and Zoe from Bournemouth Bra Lady created a flexible working business case for themselves, and have created their businesses around their families. 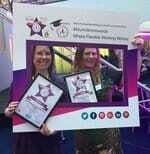 They were both finalists of Self Employed Parent of the Year, showing just how much that planning has helped them create the flexible business they want. If that’s what you want, you can do it to. If you need help seeing all the options, personally, or for your business, book a call with Tracey-Jane & let’s explore together. Do you believe that if you’re in a fit and healthy state mentally and physically you’ll have a healthier business? What are you doing to ensure you’re fit and healthy? From personal experience, we’ve had healthier businesses, and happier customers when we’ve personally been happier and healthier ourselves. If you’re ill and can’t go into work, open the shop, or create product, or follow up prospects, then your business literally starts to grind to a halt. When you’re on holiday you make plans for cover don’t you? But when you’re poorly there’s not always the same opportunity to get the right cover in place to fulfill the tasks you do. (We’ll talk about crisis management & continuity in your business another time). Now we all know there’s a fine line between mental health and physical health sometimes, and they’re linked together inextricably. Personally, if I don’t have a walk, or some physical exercise each day, I feel low, and can’t think straight. It took me a long time to acknowledge the link though! Why does my good health create a healthier business? OK, think about it for just a second. If you’re feeling happy, that rubs off on those around you, and you will help them feel happier too, right? It’s the same for your health. You are your business, or certainly leading it if you have a team who works with you. If you’re under the weather, you don’t fire on all cylinders do you? You may make decisions differently than when you’re fully well. 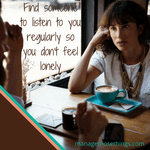 If you’re suffering from stress, or depression, this will certainly affect your decision making in your business, and your focus is likely to be distracted from your overall business goals. Do you ever get fed up, close your computer and go for a walk? (or run, or bike ride, or yoga – whatever it is you do for relaxation and exercise) What happens? It’s more than likely you’ll be more relaxed, and the issue that was frustrating you has either become insignificant, or not important; or, you’ll have worked out the answer to move things forward. All that is, is you keeping yourself – brain and body – healthy, so you can make the right choices in your business. How will you create a healthier business this year? There’s many factors which go into creating and running a business. With many areas to manage as well. 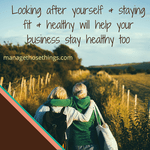 Managing them all well will help you create a healthier business this year, but what about you? Have you got time off and holidays scheduled in your diary? Do you take regular breaks during the day? What’s your daily personal schedule to keep you healthy? If you need some support to get you and your business more healthy, book a call with Tracey-Jane, or use the Business Cheerleading Club support and coaching to help you improve this aspect of your business. How do you keep yourself fit and healthy, to ensure you manage your business as well as you can? I love talking and meeting people and having a conversation. It helps the world go round, don’t you think? If you don’t have a conversation with your client, how will you know what they want, and if you’re the right business to serve them? How do find the right supplier, or negotiate the right deal for your business? You have to have a conversation. 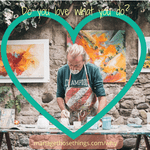 I was looking at ways to help business owners learn tips and tricks to improve you improve your time management, or learn how to do something. I know you don’t have much time to go searching for what’s right for you. There’s so many courses and tutorials and youtube videos available, but what’s going to work for you? Last week I decided to have conversations with some experts I know in different areas of business, and personal development. 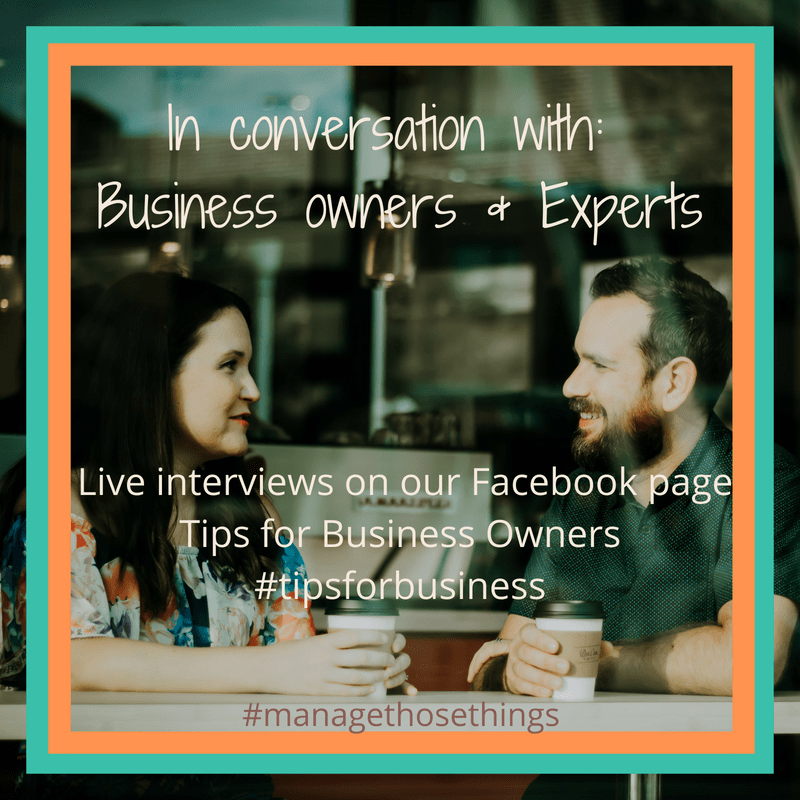 My goal is to spend no longer than 30 minutes with the expert – they’re busy and so are you – getting a couple of #tipsforbusiness owners from them from our conversation. I love learning, and spend a lot of time reading, and watching tutorials and webinars. But I’m sometimes left with more questions than I started with! I want to ask “what does that mean for me?”, “how do I do that in my situation?”. So, this way, I can do the asking! We’re carrying out these conversations on our Facebook page as a live interview. So they’re free for anyone to watch, and ask questions during the conversation (or in advance if you can’t come live). We’ve created quite a list in a short space of time, and are now getting experts booked in for conversations in April. It’s wonderful how so many people are wanting to share their tips with others so we can all learn and do better in our lives and business. Every conversation is recorded and will be available afterwards. For our Cheerleading Club members, they’ll have them in the club resource centre. We’ll also be putting them on our YouTube Channel, and of course on the Facebook page, so hopefully they’ll be easy for you to find what you need. So whilst I’ve started learning and having amazing conversations with fantastic people, we’d like to hear what you would like to learn from a conversation with….Who? Who would you like to have a conversation with? 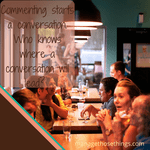 If we can all have more conversations with each other, we’re bound to understand each other better, learn more, and help each other more aren’t we, and grow all areas of our business too? That’s a dream I’m having at the moment. Join our conversations & let’s grow together. A full list of our events is here on our Events Page.